Japanese court decision could mean bail before corruption trial. Carlos Ghosn could be released from a Tokyo jail before the end of the year with a new court ruling. Carlos Ghosn, the jailed former chairman of Nissan, could see the light of day for the first time in more than a month following a Tokyo court decision not to extend his detention on financial corruption charges. The 64-year-old executive, who had been serving as head of both Nissan and French alliance partner Renault prior to his arrest on Nov. 19, has been in solitary confinement in the Tokyo Detention Center. Prosecutors initially held Ghosn for 10 days under Japanese law, extending that prior to bringing charges on Dec. 10. They were rejected when asking the court to allow them to continue holding the executive and Nissan board member Greg Kelly, Ghosn’s alleged accomplice. It’s not clear when Ghosn and Kelly might be released, nor whether prosecutors will appeal, the decision. Even if given bail they would not be allowed to leave Japan and their alleged financial misconduct could eventually result in up to 10 years in prison if convicted. 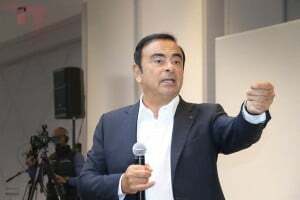 The two men were arrested immediately after landing in Japan last month – some reports indicating Ghosn may have been preparing to fire Nissan CEO Hiroto Saikawa, who had replaced the Brazilian-born executive as CEO. Shortly after their arrest, Saikawa announced that an internal Nissan investigation revealed alleged financial improprieties that included Ghosn’s hiding millions of dollars in income and misusing company funds, among other things to buy homes in Rio de Janeiro and Beirut. 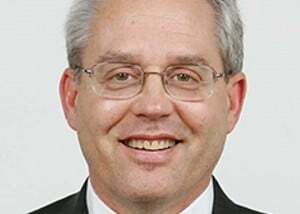 Kelly allegedly assisted in the scheme. Lawyers for both men have denied those charges, claiming the men are innocent. TheDetroitBureau.com previously reported that some observers, including a number of sources close to top management at Nissan, question the allegations and wonder whether Ghosn was targeted as part of an effort by the automaker to regain more autonomy. Nissan board member Greg Kelly has been accused of assisting Ghosn's alleged scam. Nissan was rescued in 1999 by a $6 billion Renault bailout. Ghosn headed that effort and subsequently was named the Japanese automaker’s CEO. He relinquished that post after Nissan two years ago took a controlling stake in the smaller Japanese automaker Mitsubishi Motors. Following his arrest, the executive was fired as chairman of both Nissan and Mitsubishi. But Renault has refused to dismiss Ghosn, moving only to appoint a temporary replacement while his legal problems continue. 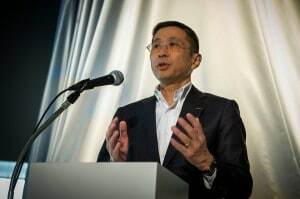 Earlier this week, Nissan CEO Saikawa met with his Renault counterpart, Thierry Bollore, to outline the evidence the Japanese automaker said it collected as part of an investigation triggered by a whistleblower. There was no subsequent indication as to whether the meeting resulted in any agreement between the two key players in the Renault-Nissan-Mitsubishi Alliance, one of the world’s three largest car groups. As a result of the initial bailout and subsequent investments, Renault holds a 43.4% stake in Nissan. The Japanese carmaker, in turn, holds a 15% stake in its partner. Renault has the authority to unilaterally appoint board members and other senior executives, as well as the head of the alliance umbrella group. Saikawa had previously indicated he was seeking a more balanced relationship, however. The ongoing legal travails facing Ghosn and Kelly have turned into a challenge for Nissan and its CEO. Authorities in Japan have also charged the automaker, alleging it had to know of the chairman’s alleged scheme to hide tens of millions of dollars in income. Japanese news reports have indicated Saikawa himself could be one of those caught up in the scandal. But a new Reuters report indicates that officials with both companies had looked at ways to keep some of Ghosn’s pay off the books and out of sight of investors and authorities, according to a new Reuters report. While the dispute is straining relations between the European and Asian sides of the Alliance, a high-level source stressed to TheDetroitBureau.com that all the partners agree that it is in their best interest to remain in the alliance because of the financial advantages it provides. But some changes appear likely to emerge in the coming months. This entry was posted on Thursday, December 20th, 2018 at and is filed under Asia Pacific, Automakers, Automobiles, Business, China, Europe, Executives, Lawsuits/Legal, Markets, Mitsubishi, NAFTA, Nissan, Personalities, Renault, South America, U.S./North America. You can follow any responses to this entry through the RSS 2.0 feed. Both comments and pings are currently closed.